pH can be improved easily with the right support. Did you know, that every cell radiates a small amount of light..? That each cell holds intelligence in binary, or paired electrons.. When energy is transferred to or from the cell it emits a tiny pulse of light. As the cells gain more energy(gain greater health), they give off more light. Gaining more quantum energy, could that be Enlightenment..? The terminology may be more accurate than we think. A healthy body and a healthy mind is essential to cultivate a Healthy attitude, and yet a healthy attitude will assist in maintaining a healthy body - which comes first? pH balance is critical in this regard as it is difficult to feel Inspired, when your body is continually failing or just doesn't function as you would like. pH sticks/rolls can be used to measure urine or saliva pH. The aim is to have a first morning urine pH of 6.4 – 7.2. Initially I recommend measuring the first morning urine pH after 5+ hours of sleep every morning for two weeks. This will provide a baseline for you to work from that will assist in modifying any supplementation as the pH changes. 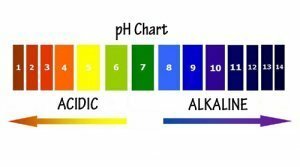 A shift in pH just by 0.1 is actually a 10-fold change in tissue oxygenation so just by increasing the pH by 0.1 can make a tremendous difference to your energy and vitality. If the urine pH is highly changeable, this could be an indication of a possible infection somewhere in the body, high stress, or poor sleep. If you need help with this you know who to call. I would then consider an appropriate protocol to assess and address these concerns. Why give HCL? Isn't that more Acid? The more acid the system is the more HCL the body needs to relieve symptoms. The reason for this is the parietal cells(these are the cells in the stomach that secrete HCL) are so toxic (possibly due to the presence of heavy metals) that they cannot produce HCL which is necessary to acidify chyme before it enters the small intestine, this then in turn stimulates the release of bile and digestive enzymes. Premier HCL can help remedy this. When you experience heartburn/indigestion after a meal, take a tablespoon of PRL Vintage Vinegar(or an exceptional Apple Cider Vinegar of your choice) or lemon juice. If this provides relief, it indicates you need more HCL - in my experience, a huge percentage of us need more HCL, it is the main first step along the path of digestion, low levels at the start will create problems further down the line. Here's to less acid and more good health! It seems we often underestimate our potential, how about a little inspiration. As its that time of year again when people are rushing out for their flu shots I thought it was time to talk about one of our really great immune tonics, its a little different to most herbal/natural products but definitely can make a difference, whether it is used as a prophylactic or if you are under attack already, the PRL Nucleo Immune capsules will work wonders on getting the system working. Nucleotides, a special nano-protein, have been proven to be spectacular help for the immune system, especially during the cold and winter season. Nucleo Immune is the first “nano-protein” delivery system devised to promote an instantaneous immune boost and increased vitality. Backed by remarkable Swiss research over the last 15 years, nucleotides, a special nano-protein, have been proven to be spectacular help for the immune system, especially during the cold and winter season. In addition, they can help improve circulation, promote new cell growth, neutralize toxins (especially in the intestines), and enhance the body’s ability to protect against stress, infection and disease. Common crop pesticides have been shown for the first time to seriously harm bees by damaging their renowned ability to navigate home. The new research strongly links the pesticides to the serious decline in honey bee numbers in the US and UK – a drop of around 50% in the last 25 years. The losses pose a threat to food supplies as bees pollinate a third of the food we eat such as tomatoes, beans, apples and strawberries. Scientists found that bees consuming one pesticide suffered an 85% loss in the number of queens their nests produced, while another study showed a doubling in "disappeared" bees – those that failed to return from food foraging trips. The significance of the new work, published Science, is that it is the first carried out in realistic, open-air conditions. Fish oils - Not only good for a healthy heart. A review of literature published last year in the journal Nutrients confirms the scope of evidence supporting DHA's critical role in the evolution and maintenance of human physiology. From the late Paleolithic period, consumption of DHA-rich foods (i.e. seafood) began to correspond with brain development, which surged in the last 200,000 years. Modern science has delved deeply into this relationship, noting the technological and lifestyle changes that have contributed to radical alterations of dietary essential fatty acid ratios, and quite possibly certain negative health effects from inadequate DHA. Current research shows conversion rates of ALA to DHA range considerably, but fall well below 1% in some adult populations. Along with other omega-3s, the availability of DHA within cell membranes matters significantly when it comes to the health of our cells and other functions critical to optimal cell functioning. The sum of evidence "may provide a biochemical basis for a beneficial role for DHA in metabolic syndrome and neurodegenerative disease processes," writes the author. Specifically, DHA's role suggests that its anti-inflammatory effects may mitigate normal cognitive decline associated with aging, as well as the effects of more debilitating disorders such as Alzheimer's, and possibly Parkinson's Disease. Perhaps the strongest evidence for DHA's importance comes from studies with infants. This line of research finds evidence for superior visual acuity, emotional regulation, social behavior, communication, and neurodevelopment among children with higher levels of DHA consumption. Despite the evidence supporting the importance of DHA, the modern Western diet is now largely deficient in this essential fat. However, as the cost of treating brain disorders continues to mount, research on DHA, along with improved EFA nutrition, takes on new relevance. Get your DHA from our Hoki Mega 3, its a local NZ product and it delivers excellent levels of preformed DHA at a reasonable price. This month we are offering an extra special deal on the PRL Nucleo Immune so you can afford to get the level of protection you deserve. For those wanting to get your pH heading in the right direction we are offering $$ OFF for May only, just click through to the following product pages to receive the discounts, happy shopping!